A couple of weeks ago I hosted an event for my clients. 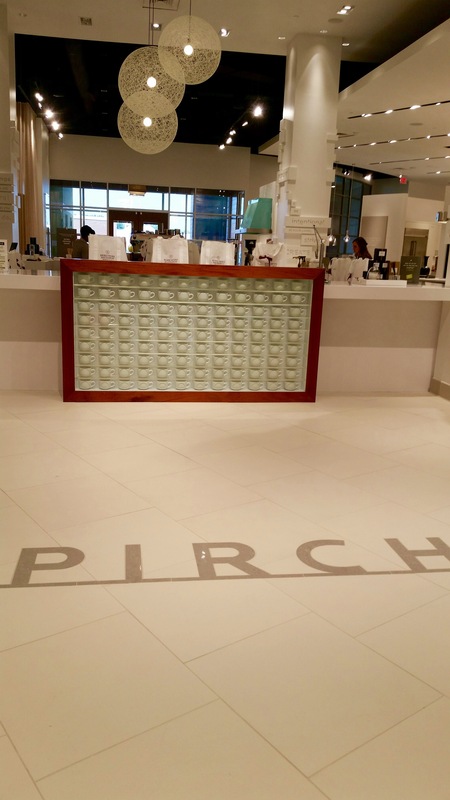 It was SO much fun that I need to keep telling the world about my new favorite place, Pirch. Back when the real estate market was crazy in 2005-2007 I sold more new construction than resales. Then the market tanked and business became re-sales and buyer representations. Recently the market for new construction has opened up again and I’m currently working with two clients who are building new homes and three clients who are doing major remodels. 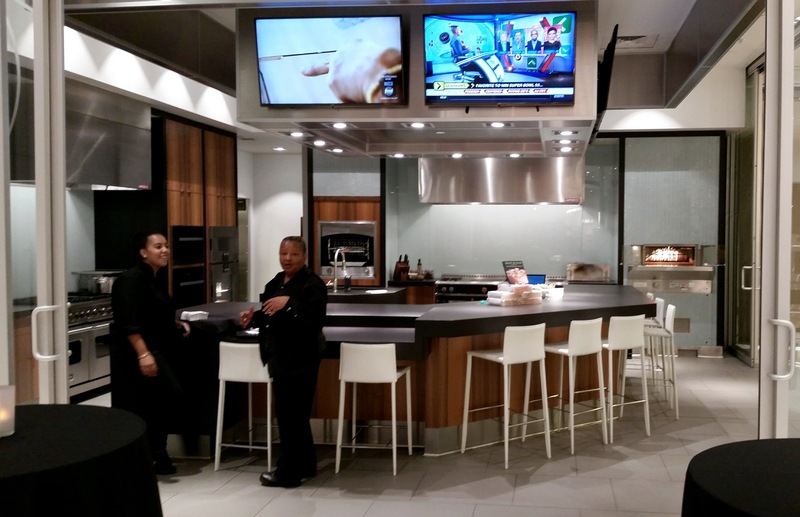 That passion and joy that that business brings me is embodied in the Pirch experience. 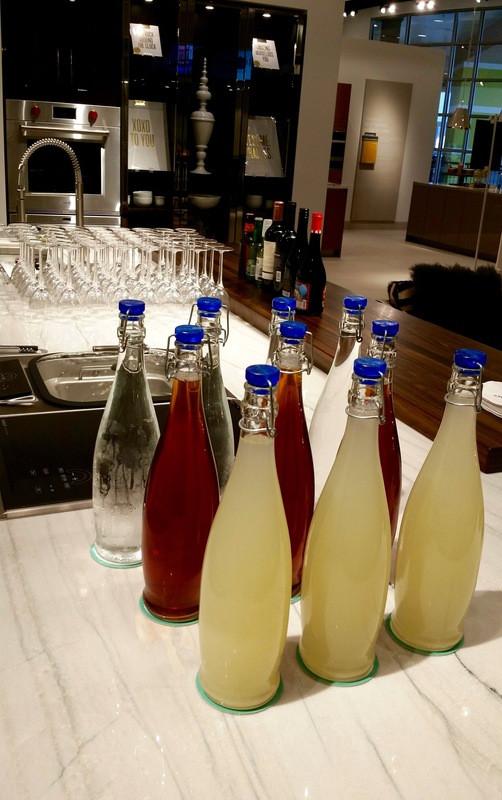 Just step inside their doors at Lenox Marketplace Showroom at 3535 Peachtree Road NE (across from Phipps Plaza) and you’ve opened up a world to dream about what your home could be. The service is incomparable and they’ll even serve you a drink from the Cafe while you browse. They have in house consultants and rooms where you can design and dream. I had attended a function with my office there a few months back and one of the outside sales reps had suggested that I hold an event for my clients. The challenge came in conveying the experience and how much fun it is to them via an invitation. Those that have a passion for cooking understood, along with my “foodie” friends but every single person left wanting to come back, just like I did. 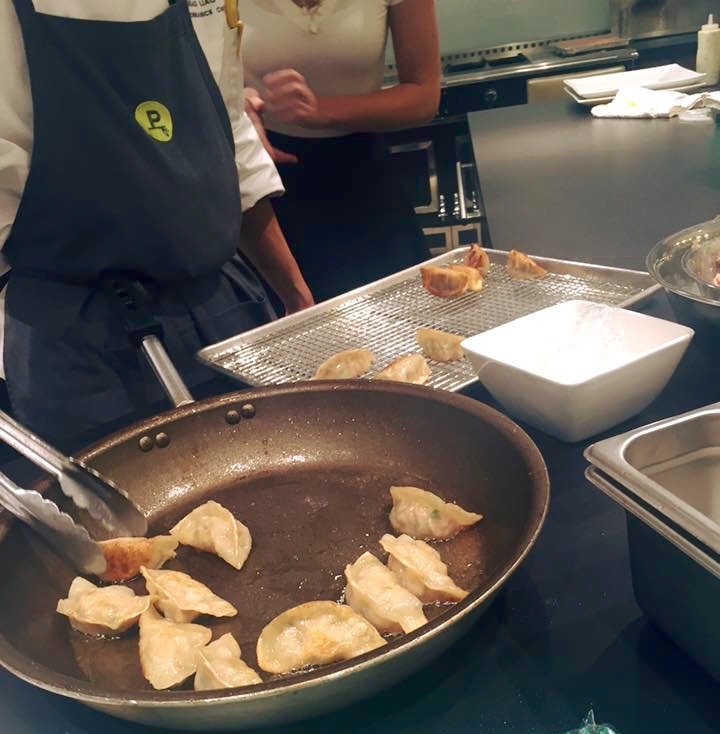 Guests were treated to tours and a cooking demo by their in house chefs who come from some very upscale restaurants and are showing their skills in this beautiful show kitchen without having to deal with the brutal hours of the restaurant world. They taught us how to prepare fish, cook on a salt block and served us very yummy food and treats. 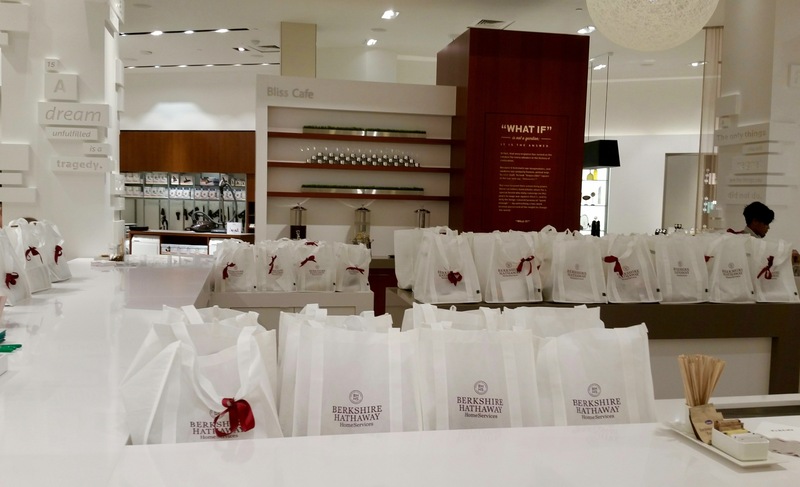 Guests were treated to go home with a salt block and a cookbook along with a goodie bag with items from my partners that helped me host the event. Besides Pirch, I had Dan Asbury with Suntrust Mortgage provide the drinks, Caleb Rhodes with Green Friendly Homes who showcased some fabulous homes he had built and provided measuring tapes to all, Traci Rhoads with Traci Rhoads Interiors, who gave tips on decorating, showcased some of her fabulous work, and slipped a wonderful linen candle into the goodie bags, and then one of my closing attorneys, Anthony Bagiatis with McLain and Merritt came up with a creative idea to give everyone a jar of specialty pork/chicken rub that he assures us is fantastic, can’t wait to try it along with my salt block. Traci Rhoads said that it was such a great event that she’d have her wedding there one day! We all cracked up, but it’s really a testament to what a first class event it was. 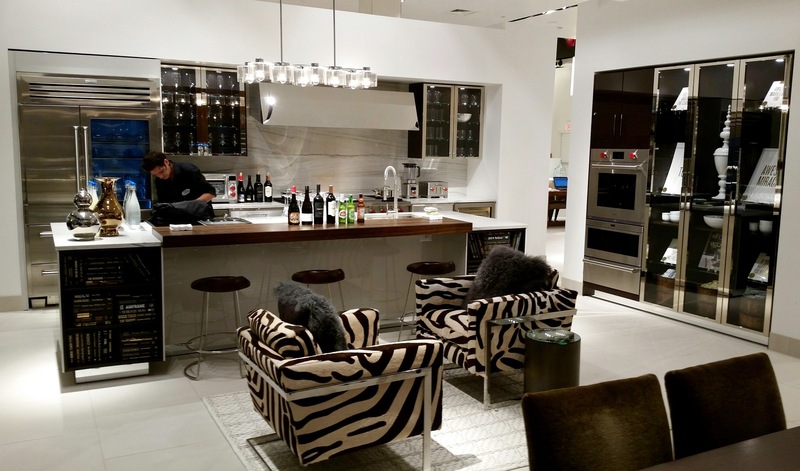 Since the event, I had a client that needed to look at appliances for a prospective build go over to check Pirch out. He called me the next day to tell me they served him lobster and turned on the TV to his football game! He ended up spending three hours there! 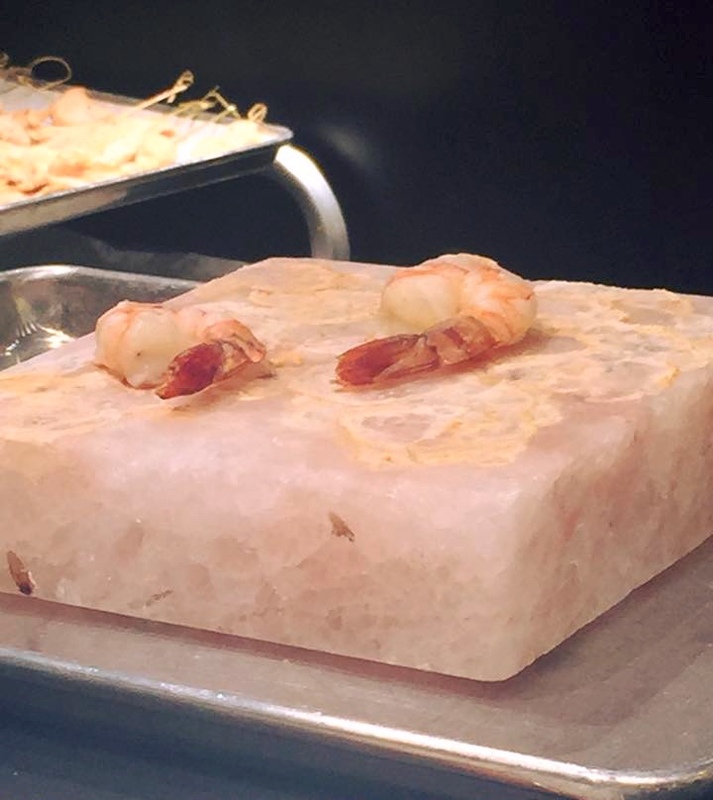 Trust me and head over to Pirch to dream, you won’t go home hungry. Even my son enjoys coming along to have the barista’s serve him hot chocolate! I encourage you to check out one of their upcoming events, you won’t be disappointed. 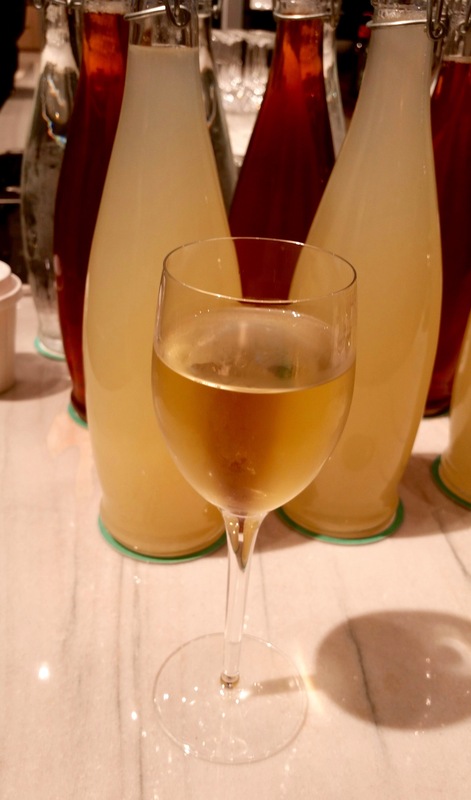 This entry was posted on September 29, 2015, 10:49 pm and is filed under Uncategorized. You can follow any responses to this entry through RSS 2.0. You can leave a response, or trackback from your own site.